Dr Klein’s research interests include the psychologisation of development interventions, women’s agency, neoliberal subjectivities, economic rights and Indigenous development. Dr Klein has taught various development studies subjects at the University of Oxford including gender studies, development theory, human development and development policy. 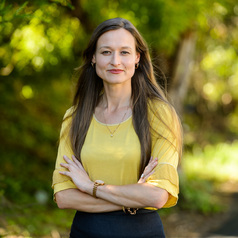 She also held a Post-Doctoral Fellowship at the Centre for Aboriginal Policy Research at the Australian National University examining conditionality in Indigenous policy. Dr Klein has worked for over ten years in Mali as well as working on the Human Rights Committee within the United Nations General Assembly. She has conducted numerous consultancies for multilateral agencies and NGOs on aid & development monitoring and evaluation, program design and project implementation.